Immunisation] Vaccinating your child against childhood diseases is a very important part in ensuring your child’s health and well being. 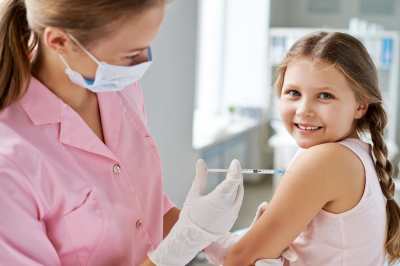 Our doctors in Bentleigh GP Centre offer a comprehensive immunisation service to your child. Our doctors and nurses are available to discuss childhood immunisations with parents, and we offer a safe and happy environment for your child when having their immunisation. We all know how important it is for your child to have a good experience when this time comes around. consultation with the doctor and the nurse. The doctor will be able to discuss with you the pros and cons of immunisations and answer any questions you may have. All children are vaccinated according to the National Immunisation Schedule and have their details sent to the Australian Childhood Immunisation Register (ACIR) which ensures timely access to family tax benefits. All ACIR Childhood Schedule immunizations are free of charge and the consultation for your child is bulk billed. There are some additional vaccines that are not government funded and will incur a charge. Please discuss this with the nurse when booking the appointment. It’s important to keep your immunisations up to date. Up to 5% of hospital admissions are for diseases that can be prevented with a simple vaccine. As apart of preventative care, we have a comprehensive immunization service which includes routine vaccines (like vaccines you may have missed as a child), and travel vaccines including Yellow Fever vaccination and documentation for which we are specially accredited and authorised to provide. Authorised documents with evidence of Yellow Fever vaccination is required for entry into certain countries so always make sure you visit your GP at Bentleigh GP Centre for a bulk-billed pre-travel consult. We stock most adult vaccinations and we also do travel vaccinations. For more information on adult vaccinations speak with your general practitioner at your next visit. Please note an additional cost may apply for vaccinations. Your Pre-Travel Consult will be bulk-billed. Please call us on (03) 95571912 to make your appointment today!